Any company that fails to budget for commercial capital improvements often ends up paying much higher costs due to lack of preparation. Capital improvements are necessary for enduring brick-and-mortar businesses. The following can help investment owners better understand the importance of budgeting for commercial capital improvements and begin setting funds aside for such projects. What Qualifies as a Capital Improvement? Examine your building and property inside and out, looking for anything that will probably need to be upgraded, renovated, or replaced in the next few years. Check the age of major structures and systems, such as plumbing, parking areas, HVAC systems, and information technology (IT). Create an outline listing the assets soon to need improvements and estimated timelines in which capital funds will likely be required. Get approximations of the cost for each capital cost expenditure so that you can arrive at an amount likely needed for annual capital improvements. This can be accomplished through research of similar projects or products in your area together with demands that may be created by current trends in your industry. Large expenses are often difficult to handle without borrowing, but it is an advantage to reduce the amount borrowed. 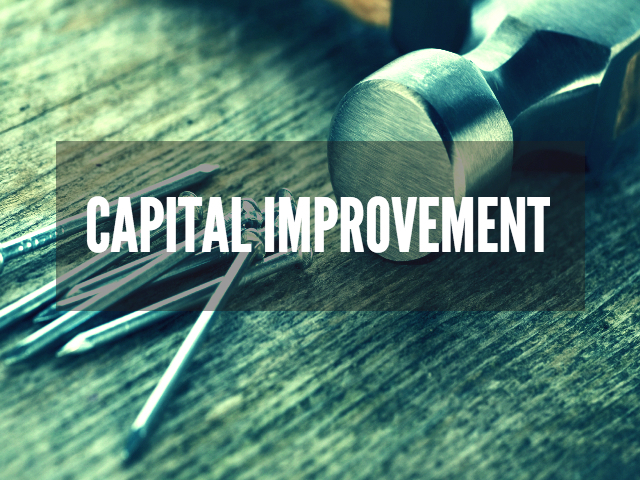 Devise strategies for funding your capital improvement projects. If you have a down payment ready to contribute to the cost of a capital expenditure, you will be a more desirable borrower. It’s a mistake to think that a smaller budget is the best approach to a capital expenditure plan in order to get needed funding more easily. Instead, consider worst case scenarios so that you have a contingency plan in place. For example, if the cost of a new roof is projected to be $50,000, budget for $55,000. This way, you are prepared for the unexpected. Any complications that may arise will be handled by experienced experts. Weaver Realty Group is a local company offering comprehensive project management services for commercial capital improvements. Our experienced team has the capability of planning, coordinating, budgeting, and supervising commercial capital expenditures, including renovations, from planning to completion. Our goal is customer satisfaction, and an added benefit we offer is that we are a Florida Licensed General Contractor and LEED Accredited Professional. Contact Weaver Realty Group today at (904) 733-0039.